Steam & hot water heating boilers are a time tested method of delivering a comfortable & even heat throughout the home. The process works thru the steady process of heat radiation instead of forced air heat convection from your furnaces noisy blower motor. Other benefits include reduced dust & allergen levels inside the home, making both breathing and sleeping easier! The heating experts from Pipe Wrench specialize in your homes custom hydronic baseboard piping and in floor heating system. Whether you have an old steam heat boiler or are looking to upgrade to a new hybrid hydronic forced air heating system, our professionals will be able to make the necessary repairs. Our limited heating service classification issued by the Michigan Mechanical division permits our licensed plumber to also perform basic mechanical repairs on any furnace, boiler, or heating system under 1 million BTU’s. Most residential home heating systems that utilize natural gas as their fuel source fall under this qualification. We will begin offering furnace repair & replacements in the fall of 2017. Pipe Wrench can be your “one stop shop” for all the homes plumbing & heating system needs. We plan to take the BIM (building information management) approach used by professional commercial companies in relation to developing customer service history records. Heating service technicians can more efficiently diagnose & repair equipment when they have access to the previous service call procedures, records, and troubleshooting documentation. Pipe Wrench is a plumbing & mechanical contractor located in Shelby Charter Township MI 48316. Our experienced plumbers can install your indirect water heater tank and provide hot water thru the heat exchanger connected via the boiler. 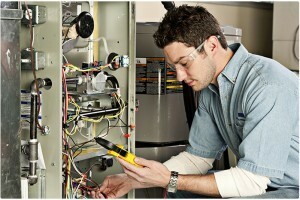 We can merge your home plumbing & heating systems for safe and comfortable living. Company policy is follow the Michigan Mechanical & Plumbing Codes including permit and inspection for all boiler & furnace replacements.